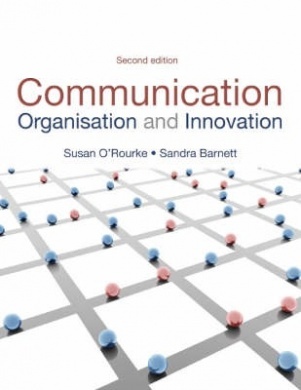 Pearson Education published the second edition of Sandy Barnett and Susan O’Rourke’s authoritative text in August 2008, just in time for the second semester in Polytechnics all across New Zealand. This updates the first edition which won New Zealand wide recognition for its innovative, practical approach to understanding communication and learning to do it better. It became the standard text for NZ Diploma in Business and Diploma in Applied Communication students seeking skills and knowledge for their careers in PR, HR, Management, Marketing and Information Management. The book is organised around the concept of organisations and supply chains as webs of interpersonal communication relationships. New-media communications technologies have as yet untapped potential to revolutionise the way people interrelate and organise to do things together; the way they see themselves and the organisations that they are members of. The possibilities are huge for individuals and organisations that realise this potential. But many have a long way to go to get the basics of effective interpersonal communication for innovation and growth even half way right.